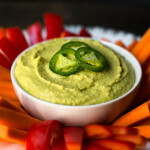 I find it hard to believe I just started making this Jalapeno Cilantro Hummus. 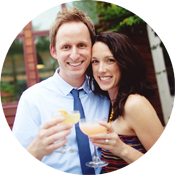 The inspiration for the recipe came from the hummus I’ve been buying for years from the grocery store down the street. 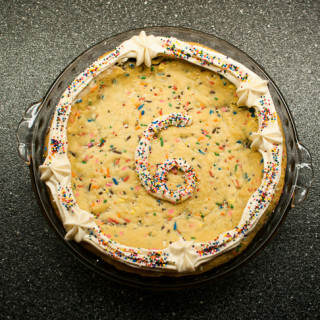 Looks like somebody finally got smart and decided to make her own version and it paid off. 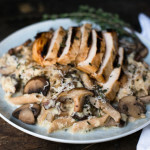 September is national mushroom month! Oyster, shiitake, baby bella, and white button mushrooms make this dish a mushroom lover’s dream! 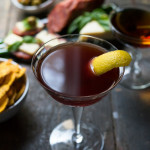 If you had to ask me to pick one cocktail to drink for the rest of my life, hands down it would be this Manhattan Cocktail. 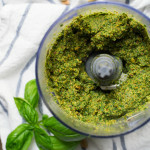 If you’ve ever thought about making homemade pesto, this Pistachio Kale Pesto recipe is just the right starter recipe for you. 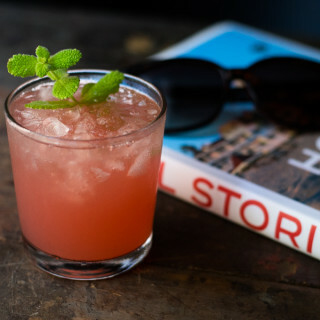 Not too many ingredients but still packed with flavor! 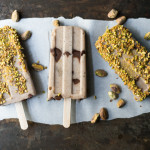 Before summer comes to an end, I need to share this Banana, Nutella and Pistachio Popsicles recipe with you. It’s my duty. This Summer Veggie Tortilla Stack is loaded with seasonal roasted veggies, kale, and plenty of spicy salsa and cheese. 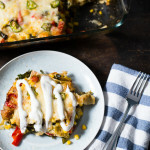 Think of it as a Mexican lasagna casserole! 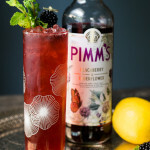 This Blackberry Elderflower Pimm’s Cup Cocktail is probably the simplest, most refreshing cocktail we’ve featured yet. 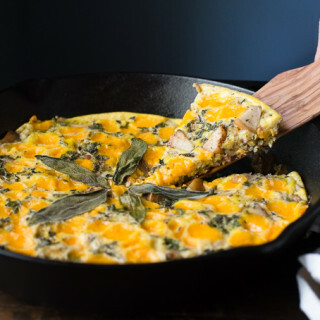 This Apple Cheddar Sage Frittata is bursting with flavor and takes less than 30 minutes to get on the table! 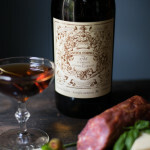 That’s what I’m talking about. 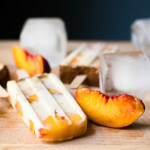 Peach season is here and I highly recommend that you make these Peach Pie Popsicles while the season lasts! The fresh fruit pops will cool you off on these hot summer days and are so easy to grab and eat straight from the freezer!